This anthology includes writings central to Islamic thought, some translated earlier but here redone, and others which have never before appeared in any Western language. Since the 1970s, Islam has been undergoing a tremendous resurgence throughout the world. This resurgence has often been labeled "Islamic fundamentalism" by the media, but it includes believers of every persuasion, from the most conservative to the most liberal. Given this fact, it is vital for the West to understand the terms in which Islam thinks and to communicate effectively with Muslims. This anthology includes writings central to Islamic thought, some translated earlier but here redone, and others which have never before appeared in any Western language. The selections include an interpretation of the Qur'an, as well as portions of the Hadith, or sayings and actions of the Prophet; Islamic law; mysticism (Sufism); theology; and sectarian writings. A final essay on Islam today places these writings in their contemporary context and shows the breadth and variety of Islamic belief and practice. Compiled with the intention of letting Islam describe itself in its own words, the book is an important source for all students of Muslim culture and world religions. This book is similar in scope to Williams' well-known 1961 George Braziller publication, but freshly written and much improved. Nearly a generation ago, I edited a book with an approach similar to this one, named simply Islam . It will be clear to anyone who has seen them both that this is not that book, but both try to let Islam speak for itself, and this book stands on the other's shoulders. There have been many sound attempts at objective books on Islam: "Islam is X, Muslims believe Y, Muslims perform Z." My discontent with the limitations of an approach that turns faith into an object, and thus is inevitably perceived as violence by people who hold that faith, has led me to believe that it is truer to let a tradition speak for itself, insofar as it is possible. It is when the people of a tradition tell each other what they are about that we may come most authentically to perceive it; when they discourse on a common enterprise, we may hope to catch the genuine accents of their tradition, to the extent that materials in translation will permit us to do so. A book about a religion which does not allow its adherents to say, "Yes, it is like that," has a necessarily limited value. Moreover, every great religion is an ocean, with many bays, inlets, and unplumbed areas; we cannot pour it into a bottle and hold it up to the light. We can only come to it, smell it, taste it, touch it, observe what thrives there, and listen to its many moods. Our apprehension of it will be incomplete, but we will not falsify it by reducing it to an image or a model. This new book tries, with a bit more confidence than I felt with the first one, to let Islam's word come through. After all, I have been listening to this particular ocean for an additional thirty years. Yet I am well aware that the ocean, ever itself, is also in a process of changing its boundaries and its colors, even that living people have the power to pollute it. It will be there when they are gone, but it may not be quite the same. In the meantime, Muslims and non-Muslims are concerned about how one may most effectively and practically study Islam. My answer will always be the same: read the texts which convey its tradition in as wide a range as one can. An original text is worth more than many words of explanation. Go to the sources and listen to voices that have rung with authority for generations, that Muslims have recognized, and use only enough introductory material to set the voice in its context. When one has done that, one begins to be able to discriminate clearly among the modern voices. It is because Muslims have been appreciative of this approach in the past that I am using it again. Necessarily, some of the same authoritative texts used earlier are used here, but in cases of prose I have usually made new translations of my own or revised my earlier translations, so that the original comes through more clearly. (All translations are mine, unless otherwise noted.) One change that I have often made, at the urging of Muslim friends, is to try to use gender-inclusive language even where the traditional language is almost entirely male. It was considered more appropriate in the past not to address women, even though the Qur'an often does. Women were to live a sheltered and cherished private existence, but Islam is the religion of women as well as men, and translated texts should not give the impression that it is only intended for males. I have also frequently translated the word kafir as "rejecter," as well as "infidel." The word means one who deliberately and ungratefully rejects God's goodness; kufr is an action, rather than a quality of belief. I have only rarely tried to produce new translations in the case of Sufi poems translated by writers such as Edward Fitzgerald, R. A. Nicholson, and A. J. Arberry, who were themselves able poets. Occasionally, with permission, I have changed archaic diction (e.g., "thou sayest" to "you say"). Translations are ephemeral, particularly in the swiftly changing English language. 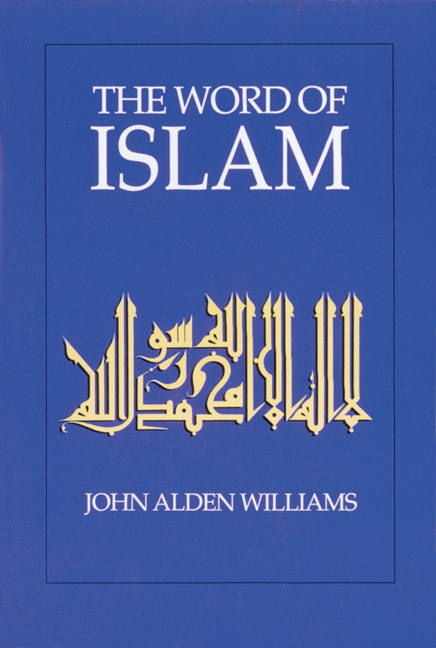 By far the best English interpretation of the Qur'an (Muslims do not consider that it can be translated, only interpreted) is that of A. J. Arberry—or it was in 1955. No English interpretation done earlier or later approached Arberry's in its ability to suggest something of the beauty, profundity, and grandeur of the original. Yet in the 1990s its language strikes even college students as outdated and difficult to comprehend. Other interpretations have all been simply attempts to convey some of the meaning as faithfully as possible. The problem is that the Arabic of the Qur'an is much more than meaning. Any interpretation that does not at least suggest some of its remarkable qualities cannot be adequate, however faithful to literal meaning it may be. Two other English interpretations, those of Mohammed Marmaduke Pickthall (in 1930) and A. Yusuf Ali (in 1938), have won a measure of approval from Muslim scholars. No one has taken exception to Pickthall's rendition of meaning, but from the first it was a poor literary product, apparently designed to sound somewhat like the King James Version of the Bible read at that time in churches. By this time, it is seriously misleading as an interpretation of what the Qur'an is like. Ali's rendition has similar disadvantages. For this book, I have had no choice but to make a new, contemporary interpretation directly from the Arabic for the sections I wanted to cite. It is a task both demanding and rewarding, and something I have done in other contexts over past years. The transliteration system throughout this book is that found in the new Encyclopaedia of Islam , but uses q for qaf and j for jim and omits a second y or w in diphthongs formed with i and u. Since "Allah" is simply the Arabic word for God whether one is a Muslim or an Arab Christian or Jew, I have used the English word throughout. Non-Muslims should not be given the misleading impression so many have received in the past that Muslims do not worship God, but something else called "Allah." Common Era dates have been used throughout, and where it seems helpful Hijra dates (A.H.) have been added in parentheses. "A Trade like Any Other"